This recipe is my mothers, and everyone loves it, its simple to make. I found this recipe in one of her old books and quickly wrote it down. Pressure cook it along with the tea bag, fennel seeds, black salt and 1/2 cup of sliced onions. After 4 to 5 whistles or till cooked well, drain the channas and reserve the water. Discard the tea bag. Heat the ghee, add the kalongi and cumin seeds. Once they splutter add the sliced onions, ginger and garlic. Cook till the onions are transparent. Add the drained channa and cook for 2 minutes. Add the tamarind paste and 1/2 cup of the channa water. Cover and simmer for 10 minutes. The water would have dried up by now. Garnish with coriander leaves and serve with Baturas. I am sending this to Think Spice: Kalonji hosted by Dee of Ammalu’s Kitchen, started by Sunita. Nice & Healthy dish.. looks perfect dear.. 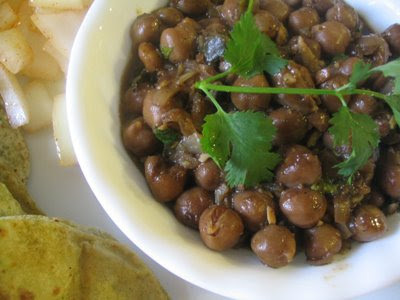 Very new way to cook channa, dish looks good with falvourful spices. that's a delicious way to cook kala chana! Looks yum! 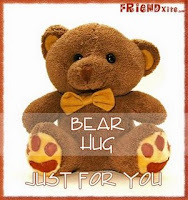 hi first time to ur blog its soo gud.. Healthy with loads of proteins..looks delicious!